Who Am I? And How Do You Even Say Wida? Well, my name is Miller…Wida Miller. I like my coke diet, on the rocks. I like my cards CAS, and my life complicated (just kidding) However, I am not set on that style. I don’t mind trying new techniques and seeing what happens. 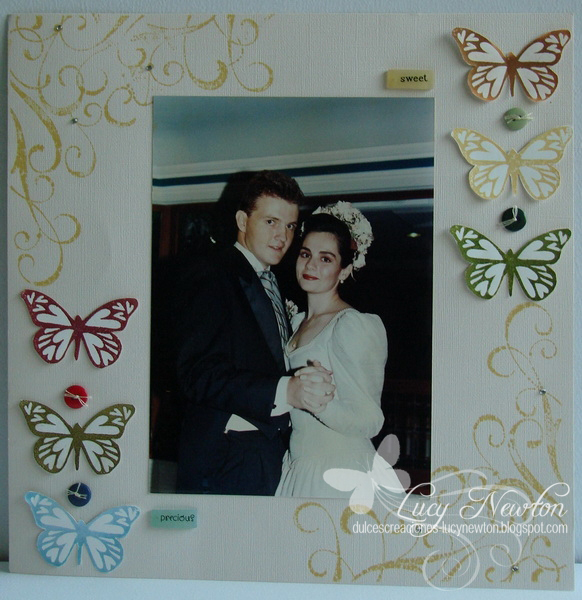 Hero Arts sets I used to make this little beauty: This is Big, and Butterflies 3 Sizzix/Hero Arts Stamp and Die set. We’re just here with a short post this morning, as we wanted to take a moment away from the crafting and stamps, to remember. Today is the anniversary of a day that will forever be marked in history. Most of us remember it, and those of us who are too young to, will be taught. To those of you who lost your lives in the towers, and in the planes–you will never be forgotten. To those of you who lost your lives in acts of bravery, valour and heroism–we thank you for your terrible sacrifice and will remember you always. To those of you who lost loved ones, we send you our support and love. Remember the lives and light of those who were lost, not the darkness that took them. We will be back later today with our regularly scheduled post. Wishing all of you a day of peace. in collages, you name it! an excellent week filled with creative mojo! for visiting A Blog named Hero! Hi everyone!!! It’s Michelle here today and I am so happy to be posting again. I have missed you all SO MUCH! I am still not physically 100% but I am getting there. 🙂 I have an small, simple tutorial to share with you today. It is so simple but it makes a HUGE impact on your cards. We are going to dry emboss. I wanted to keep with the embossing theme. 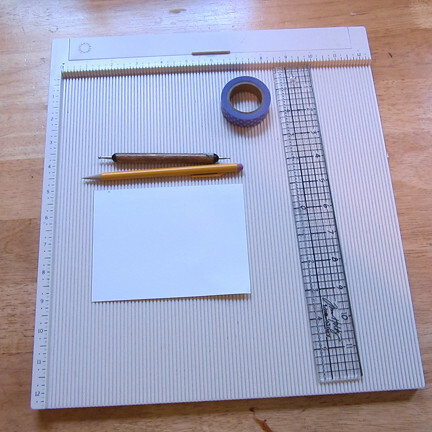 a score tool, a stylus, cardstock, tape, ruler and a pencil. Very basic supplies. 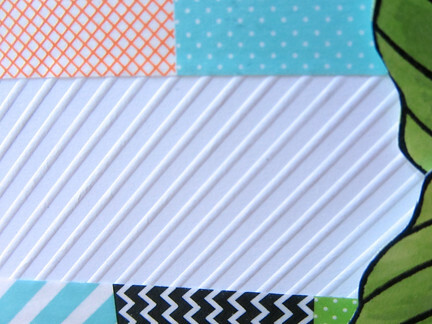 next draw lines in the width that you would like your embossing to be. I chose the width of the ruler. 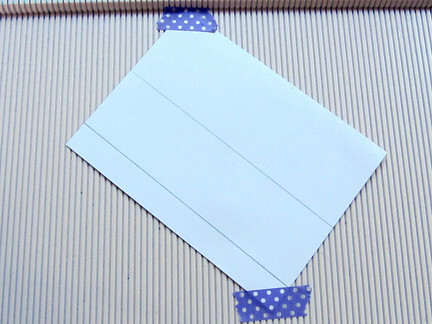 Next tape the card onto your scoring tool. I always put my corner at 6.5. for me it leaves plenty of room. 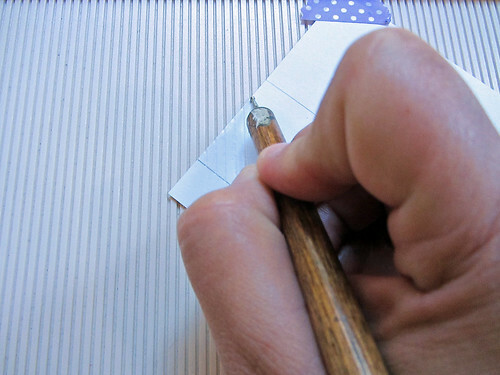 Use your stylus to create your diagonal lines. This is what it will look like on the backside. 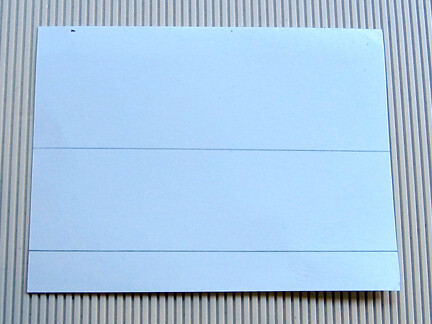 You don’t need to erase the pencil lines they will be on the back of the card. It will be clean and crisp on the front. 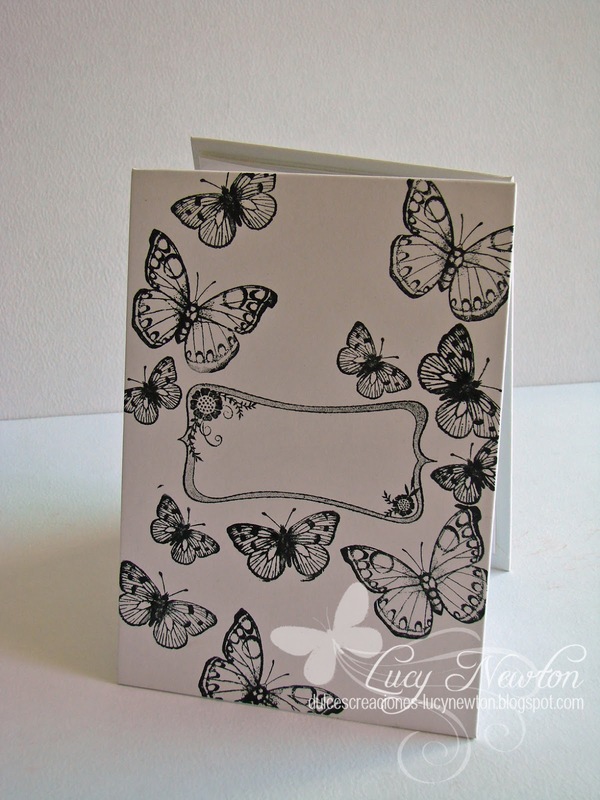 Don’t forget you still have one day to enter this months embossing challenge. 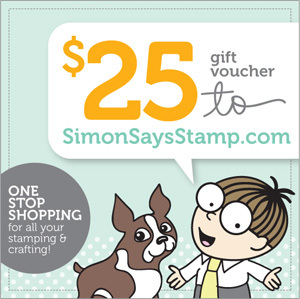 I would love to see what kinds of designs you can come up with your embossing tools. A few years ago Hero Arts released all these beautiful large flowers. I, like most of you, bought several of them. These flowers were everywhere until they weren’t. I’ve noticed lately that the way of the large flower has passed. I hardly ever see them in the Flickr group anymore and to be honest I kind of miss them. Yes, they are a few years old now but they are still just as fabulous as they were when we first laid eyes on them. So today we are bringing back the big blooms, in a couple of different ways! First stamp two flowers and fussy cut them out. until the whole thing is in pieces, literally. Remember only cut ONE flower up. 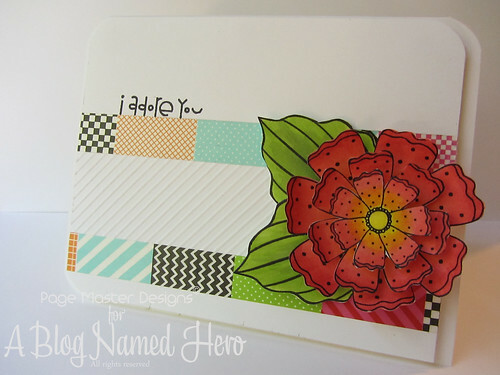 color each petal with your distress ink of choice, I chose Picked Raspberry as my base color. I always work with 3 colors when doing this technique. Finally add your darkest color to just the edges of your cut side. My darkest color was Dusty Concord. At this point you can go over each petal with your lightest color again if it is not as blended as you would like. Time to get out that second flower. We are going to put this baby back together like a puzzle using the whole flower as a base. I always start in the center. This ensures that my other pieces will fit nicely butted up against the center. I work from the inside out, you can kinda start to see how your “shading” has created a look of depth on a completely flat flower. Keep gluing until all your pieces are in place. 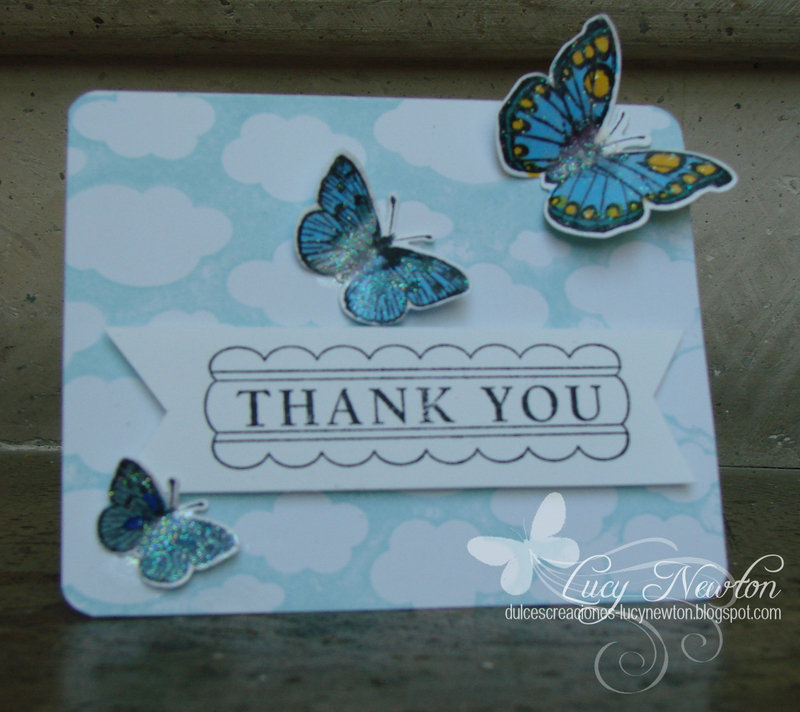 In order to show you just how fabulous these large flowers still are I made you a little card set using some of my favorite distress ink color combos. Since we just made that gorgeous pink bloom let’s start there! Here we have a whole new meaning to make your own pattern paper 🙂 This card reminds me of a pretty empire waist dress, LOVE! colored with Seedless Preserves, Dusty Concord, and Chipped Sapphire. Last but not least some bright wishes using the flowers to create a pretty panel. colored with Salty Ocean, Faded Jeans, and Chipped Sapphire.